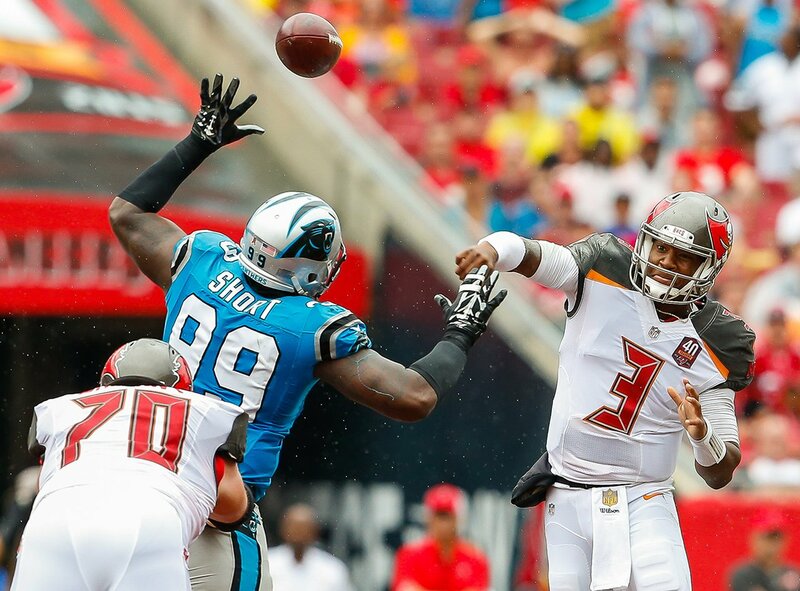 Home Tampa Bay Buccaneers A must win Monday? It’s National TV for the world to see. It’s against the team hated Panthers. It’s against possibly the most annoying player in the NFL. You can put some much-needed distance between you and Carolina and with Atlanta playing at the Broncos you can inch one step closer to the Division lead. A Carolina team that’s been hit with injuries and a starting QB that seems to be in a post-Super Bowl slump. You are coming off of one on the overall worst performances in recent memory and you can’t afford to go into the break at 1-4. Is that enough to call this game a must win? I would say yes! Is the season over with a loss? No, but with a difficult upcoming schedule, a playoff spot would essentially be somewhere between slim and none. A win at Carolina could possibly propel the Bucs into huge a momentum swing that can push them through to bigger and better things going forward. A loss will have just as big an influence in the other direction. With a week off to prepare for a beatable San Fran team, you could very well be 3-3 and within striking distance of a legitimate playoff run. Carolina is a very beatable team who is primed to go on a downslide and the Bucs should take every advantage of this and pounce on the Cats! I’m going to go on a hunch and say the Bucs come out firing and win this one 24-20. Let’s put on a good show for the Nation boys! Let’s turn this season around Monday night. Long suffering Tampa fans deserve better! I hate when they call games MUST WIN but this one… YEAH, its a must have! Broncos set sights on another QB.